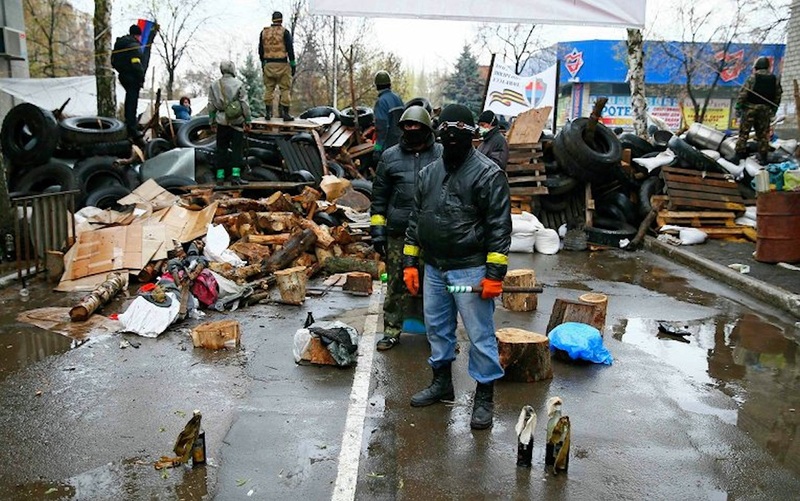 MVDU forces partly closed the centre of Slavyansk; they blockaded the entrances to the city. On the square in front of the police department, patriot elements set tires on fire, taken from the barricade at the entrance to the building. Patriots erected a barricade on the bridge over the Nizhny Torets River on road going to Donetsk, in response to junta MVDU troops who shot at people from the village of Cherepkovka. Activists say they intend to bar access to the city to junta forces. Observers saw a helicopter loitering over the city. Due to the battle, most shops in Slavyansk remain shut. The patriot forces denied that any of their people are wounded, despite media reports to the contrary. RIA-Novosti got this in a phone conversation with one of the patriot leaders inside the building.